The Gorillaz are back and their Humanz album tour hits Glasgow SSE Hydro on Wednesday 29 November 2017. 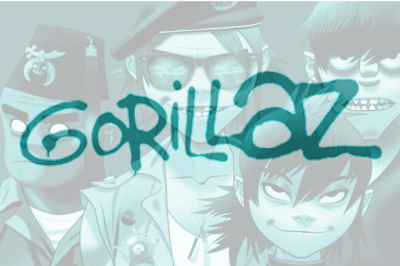 Originally a spin off project for Tank Girl creator and comic artists Jamie Hewlett and Blur’s Damon Albarn, Gorillaz have grown into a monster band. From self titled debut ‘Gorillaz’ to ‘ Demon Days’ and ‘Plastic Beach’ the band constantly deliver. New album ‘Humanz’ follows the tried and tested blueprint of teaming up an eclectic selection of guest vocalists and musicians over a soundtrack of beats, guitars, samples and more fusing indie, rock dance and rap. Live the experience is electric with the cartoon characters of 2D, Murdoc and the gang, larger than life on the stage. With impressive visuals and more it’s going to be a brilliant show. Tickets go on general sale from Friday 5 May 2017.